In between the major cities of Flagstaff and Phoenix in Arizona is a beautiful little city, nestled in the mountains, called Sedona. 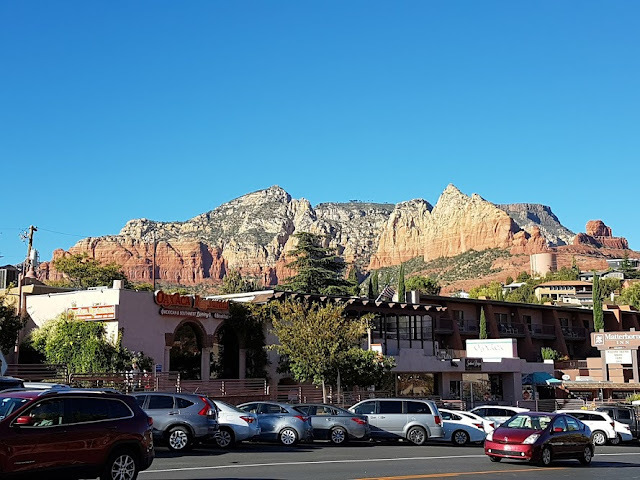 Sedona was suggested to us as a stop on our roadtrip by our Airbnb owner in Phoenix, after he mentioned its quaint beauty and how dramatic its red rock backdrop was. And he wasn't wrong. Sedona is a desert town, with massive red rock buttes surrounding it and a year round climate that makes Wales look like the Arctic. Sedona isn't what I would class as a classic 'small town' city (American cities can be tiny) but rather a uniquely different city, which is very much geared towards attracting tourists, which it was doing, in droves. It has a lovely arty feel to it and has a ton of galleries and art stores. 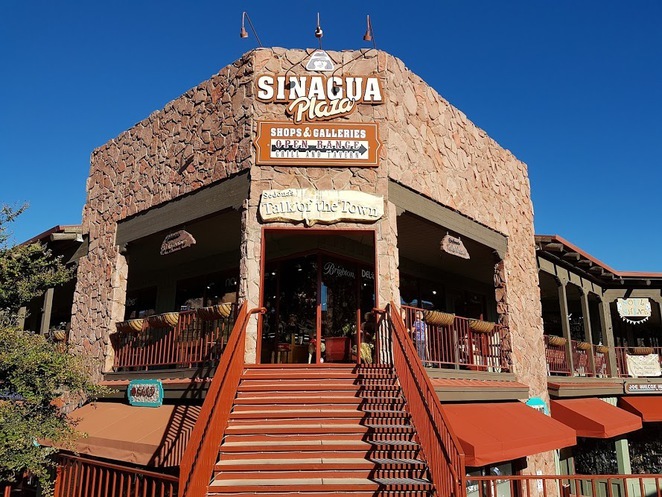 Sedona boasts rows of pretty independent and new age boutiques, gift and souvenir stores, quality restaurants and fast food stops, bars and various helicopter and pink jeep booths to sign you up for a bit of off road adventure, should you be that way inclined. 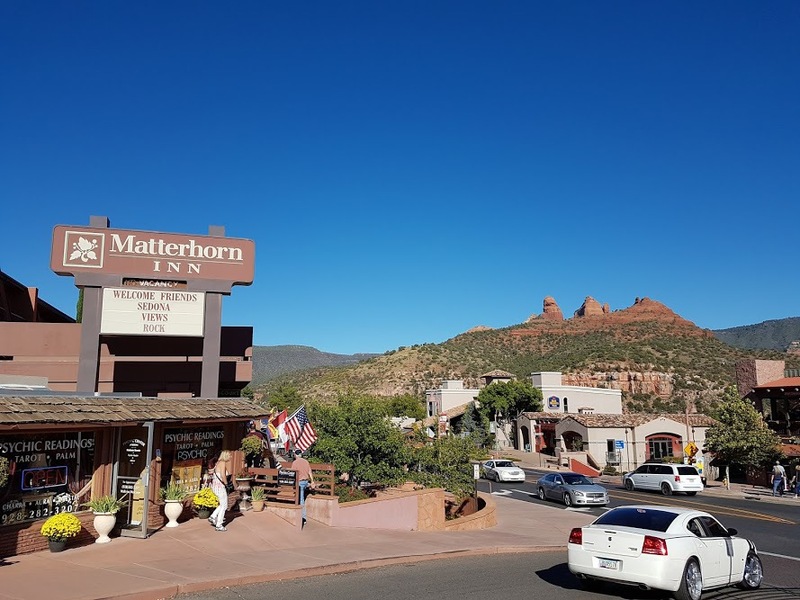 The city looks like a quiet retreat from the much bigger cities it sits between and it did provide an atmospheric and peaceful pit stop on the way to the bright lights of Phoenix. It very much has a restorative feel to it and is regarded by Native Americans as sacred. Sedona is surrounded by almost 2 millions acres of forest and had a population of a little more than 10,000 people. Two of its former residents happen to be Senator John McCain and singer/songwriter Michelle Branch, so it clearly punches above its weight in more ways than one. Given the city's dedication to the arts, it's no surprise that it is home to many festivals throughout the calendar year. These include an International Film Festival, Jazz Festival, Marathon (I'm tired just thinking about running one mile in that heat! ), and an International Yoga Festival, which sounds like something for people who are way more bendy than me. It really is a wonderful city and I'm so glad we had the chance to visit. 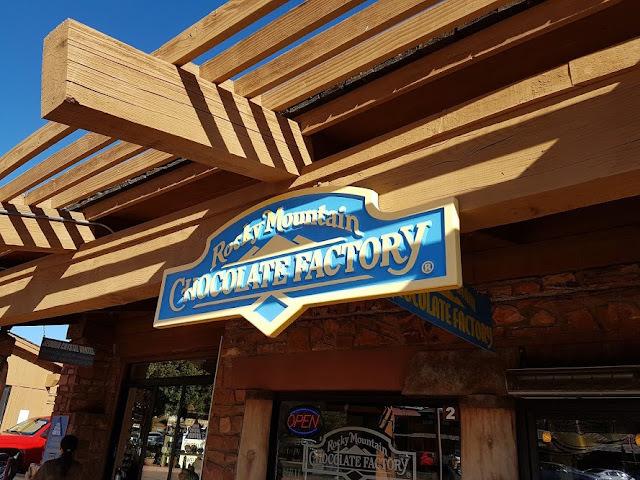 You can't beat a personal recommendation from an Arizona native.